She needs help with her speaking and has to be prepared. The guest was great, but her trying to pull questions out of the air with very limited verbal skills made it painful for me to listen to and the guest too. Great concept. Hope she improves! Fantastic collection of Podcast which are a must-listen for you! Exactly what I was looking for. Great podcast ever! !,healthy foods !!!!!!!!!!!!! I've been listening to this podcast for real healthy lifestyle, and i think it's the best. Just like I like them! Great stuff! I have to be honest, I found you guys when I was looking for the new show, but found this instead, and honestly, very happy that I did. You guys rock. Feels like a pro podcast. Great production, great intro, great jingles, and talented guys. Love it! One of my top 10 podcasts. This is a truly great, interesting podcast! i love it! I'm a big lifestyle fan. I really enjoy what you guys are doing. I just listened to a few shows back to back, and before I knew it â half my day was gone! I have been a fan for a while now, and I just think the dynamic between Jay & Ralph is some of the best stuff out there. Thanks guys for always having a great show. Great content. It makes eating enjoyable and fun. The podcast we all need with excellent health tips. I heard you guys also do video, and I went and found you on youtube. LOVE THE SHOW. WIsh you were every day. Now I am officially an ADDICT. Good to know you will be doing a series on different health topics. now I find myself listening no matter what. Great podcast. I am proud to be an addict! I just found you guys! Really well done. I think it may have been my favorite episode of any podcast ever. It inspired me to write a review. Wish you guys would go to two-a-days. Great advice, I will definitely be changing some of my habits! I'm an Uber driver and this is good for listgening to between passengers. My Dad suggested it. Love it! The episodes are quick enough for my commute to work and have immediate, actionable pieces of advice. This is my Thursday driving home podcast. I came into the show on the newest episode âImportance of Support.â After listening through the podcast on my morning commute, I felt re-energized in my new years resolutions to work out. There was enough practical advice from Dusty to make me a new found listener, and I think I'll be one for quite a while.Keep it up Dusty! Healthy Lifestyle Show is brimming with helpful tips regarding fitness and health. And although it's early on in its podcast lifespan, I'm really excited for future episodes.In fact, I'm looking forward to more episode series down the line. The thyroid saga was an interesting listen to be sure, and if I can get a hold of more of these health chronicles, I'd be one happy camper! If I could suggest a series on a proper cardio routine, that'd be amazing!Overall, this is well worth a listen. And I'm hoping great things come of these podcasts. 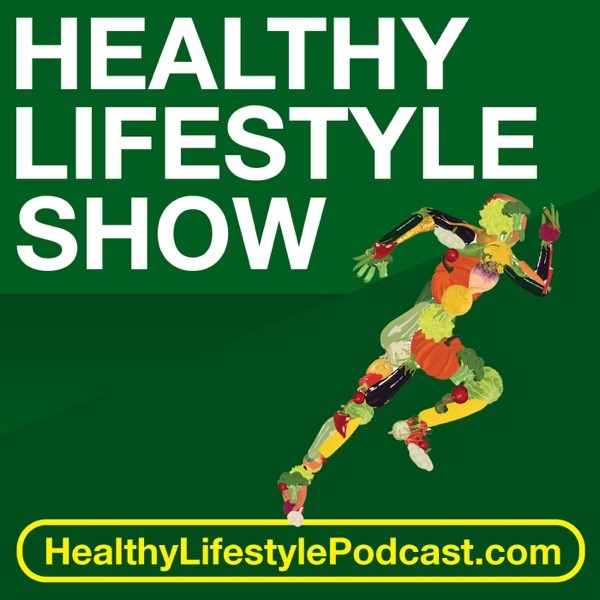 This podcast is a must for those who want to live a healthy lifestyle. I have been listening to this podcast for a while now, and I can see changes in my life. I have Learned about the amazing power of foods and natural herbs. This is so unique! This podcast is very important tips for all player.I need this tips & i am happy to fid this.I love it!!!!!!!!! Really good Lifestyle Show podcast!!!!! Excellent fun Healthy Lifestyle Show is bast, really Very nice Using science we discuss daily challenges I like it..!!! Like most people, my New Years resolution is to get fit and healthy, and I think your latest episode about having social support, really hits the nail on the head for me because I wish I had better support.. They support me, but I don't think they truly understand how I feel.. And like you said, sometime family don't believe that you're going to changeI'm so glad I found this podcast, keep up the good work, I can't wait for the next episode! I loved the thyroid tips provided in this podcast. Love the podcast as it is professionally done with great health tips. happier and more fulfilling life Probably my all time favourite podcast. It really has changed my life in so many ways, and made me a much more well rounded person. really Very nice game I like it..!!!.........!!! !